ROCKFORD, Ill. (CN) – An Illinois high school student claims in court that school officials subjected her to ridicule by classmates during a walkout demonstration because of her pro-gun rights views. Madison Oster, a junior at Hononegah Community High School in the small town of Rockton near the Wisconsin border, filed a federal lawsuit Monday against the district and several school officials who she claims violated her constitutional rights to free speech and equal protection. “This is a civil rights action challenging defendants’ policies and practices that act to discriminate against certain viewpoints regarding the Second Amendment generally, and against certain beliefs regarding the safety of schoolchildren from random violent attack during school hours,” according to the lawsuit filed in Rockford, Illinois, federal court by Oster’s father Jeremy, on his daughter’s behalf. According to Oster, who is represented by attorney David Sigale, her school “segregated, suppressed and ostracized any opposing viewpoint” during its participation in a nationwide walkout in March in response to the shooting at Marjory Stoneman Douglas High School in Parkland, Florida. School officials supported students’ protest for gun control and restrictions, but not Oster’s right to express her opposing opinions, according to the lawsuit. “Madison has sincerely-held beliefs regarding the individual right of the Second Amendment, firearms policies in general, and about the optimal way to protect schools in the event of a violent attack,” the complaint states. Once the walkout started and other students headed to the football field, Oster claims she and several other pro-gun rights students were made to stand on a separate sidewalk because officials thought they may start a fight. 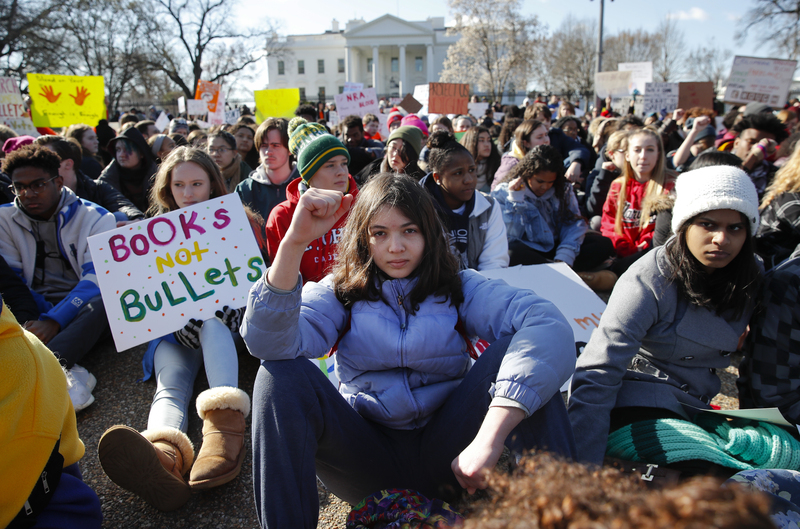 After the demonstration, Madison and about five other pro-gun rights students “were made to wait until all of their classmates holding the opposing viewpoint had exited,” the lawsuit states. As the others filed back into the school, Oster’s small group was subjected “to the taunts of their classmates by holding them aside while all of the other students walked past them into the building,” with one student yelling at Oster to kill herself, according to the complaint. “Madison left HCHS early that day, feeling bullied and ostracized, and firmly convinced that HCHS does not value her or other students who share her beliefs,” the lawsuit adds. She says she ended up staying out of school for a week. “The expression of viewpoints is not something high school students need to be shielded from,” Sigale said, adding that Oster hopes her lawsuit gets that message across to the school. The Hononegah Community School District did not immediately respond Tuesday to a phone call requesting comment.